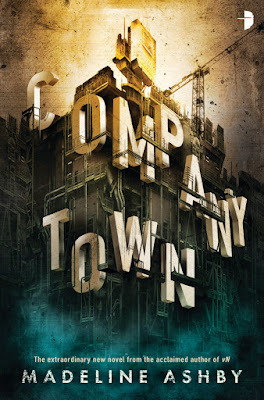 Madeline Ashby is a name I am familiar with, but I've never had the chance to read her mind-boggling and 'compelling' science-fiction books series, Machine Dynasty [ io9 review terms it to be 'the most messed up book about Robot Consciousness'] So when I heard her latest, Company Town is going to be released in May, [The book released on May 17] I jumped in and put in a request. And now, I am a fan for life! It's June, damn! We're already done with half this year. Don't you get this nagging feeling that every year, as it goes by, goes a little faster than the previous one. No seriously, you're so involved in getting by from one day to the next that you fail to realize that months are rolling past. Fast. 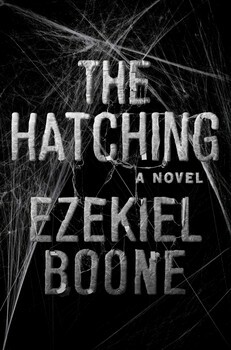 Hatching, the new book (Coming out in July from Emily Bestler books in US and RandomHouse Penguin Canada) by Ezekiel Boone is going to be the new poster-book for an apocalyptic extravaganza -A deftly written thrill-ride that focuses on a horde of man-eating spiders devouring the world one city at a time and will definitely have you cringing and gasping in fear. It's the ultimate pulpy fun - Ezekiel writes in a fluid fast fashion that really appeals to your heart, at the same time twisting that freak-show dial way up. The story has a bunch of realistic characters banding together to fight against a freaky horror-show, without a clue as to how to stop the marauding army of arachnids and that impending sense of doom holds sway throughout. Spiders and the end of the world?